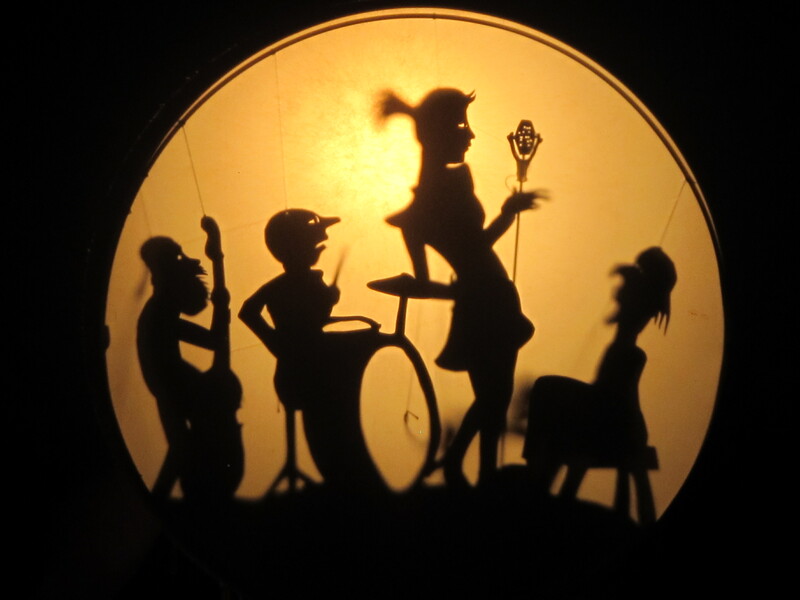 SHADOW PUPPET BAND headlines @ BLUE FIFTH REVIEW! The name of this online journal, Blue Fifth Review, has its origins in jazz: the mysterious third blue note, the blue fifth. This is the note that Thelonious Monk spent his entire musical life in search of on the piano. Sam Rasnake began Blue Fifth Review in the winter of 2001, and from then until 2010 BFR appeared twice yearly in journal format, adding a themed supplement issue every other year. A quarterly Broadside series was added in 2006. In 2011, Michelle Elvy joined as an editor and BFR moved its online site to WordPress, launching the Blue Five Notebook Series. The format and number of issues broadened to include flash, while limiting the selections to five written works and a single piece of art per issue. The purpose of BFR is to present a variety of writers and artists, both established and new, to a broad audience. Tastes here are eclectic. Poetry and artwork that take chances, that show the unexpected, are welcome, but all forms – both traditional and experimental – are necessary. This forum seeks a community of writers and artists who know their own voices and vision, who listen to the muse, who let their pens and brushes weep. This entry was posted in Uncategorized and tagged band, puppetry, shadow-puppet, silhouette. Bookmark the permalink. Fabulous news Jo Ann – I’m tickled pink for you. And it’s a great image besides!! Love this! Thank you for the ReBlog Bo! Thanks Douglas – I appreciate your support! You got it as often as I can do it!